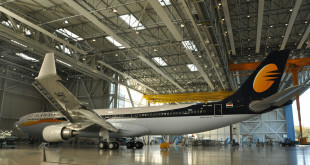 India’s Jet Airways has suspended its Chennai Brussels daily flight with effect from November 15, 2012. This flight used to be operated by an Airbus A330-200. In view of the current global economic scenario, including the ongoing Eurozone Crisis, Jet Airways has announced a redeployment of assets on its existing route network. As part of the airline’s ongoing network rationalisation, Jet Airways will temporarily suspend its existing operations on the Chennai-Brussels sector, effective Nov 15, 2012. 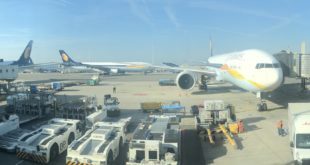 Jet Airways will ensure that all guests booked on the Chennai-Brussels flight will be offered alternative flights to Brussels/New York (Newark)/Toronto, either on Jet Airways or that of its partner airlines along with through check-in facilities. This is the second suspension of Jet Airways from its scissors hub at Brussels. Earlier this year Jet Airways withdrew its Brussels New York JFK service ahead of commencement on this route of its partner, some would say now competitor, Brussels Airlines. This withdrawal now leaves Jet Airways with only four flights at Brussels. Mumbai and Delhi to/from India; Toronto and Newark to/from North America. 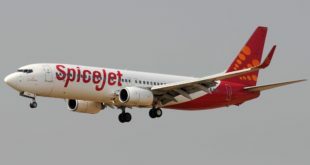 Jet will offer its Chennai passengers a connection to Brussels and North America via its Mumbai and Delhi gateways. Jet Airways’ operations from Mumbai and Delhi to Brussels and onwards to New York (Newark) and Toronto will continue to operate as scheduled. The Mumbai Brussels flight is currently operated with a Boeing 777-300ER and Airbus A330-200 mix, while the Delhi Brussels is serviced with an A330-200. We expect Jet will upgrade one or both of these services to the A330-300 it expects to induct very soon, to cater to the additional Chennai demand. Editors Note: We have reproduced the Jet Airways comment as is. We clarify Newark is not in New York. Previous Sita Air Dornier 228 crashes on take-off in Nepal. 19 dead. Next Jet Airways to commence Bangalore Munich flights. On the path to Star?